Barista turned kindergarten teacher Danielle Sink enjoys her first morning cup of coffee. Whether getting one to go or lingering over a second cup, Saturday, Sept. 29 is National Coffee Day. Danielle Sink is a kindergarten teacher with the Hillsboro City School District, but a few years ago was a professional barista at the Holtfield Coffee Shop in Hillsboro. Promptness is a necessity for any barista, she added, and the last thing a barista wants to do is come between a customer and their morning cup of java. Sink recalled that a transition occurred in the early 1990s where cappuccinos and lattes began to replace the traditional coffee with cream and sugar. She soon discovered it was more complicated than she thought, due to the different blends of coffee, special grinds and the various flavors customers were demanding. “From the standpoint of a barista, and I used to be one, freshly ground beans make the best tasting cup, but you have to be careful because a coarsely ground coffee bean will produce a weaker flavor while a fine grind delivers a stronger, richer taste,” Sink said. According to the Mr. Coffee website, coffee lovers cherish the flavor as well as the caffeine boost they get morning or night, black or with cream and sugar, hot or cold and even decaffeinated. The website goes on to say that there are many legendary accounts of how coffee first came to be, but the earliest credible evidence of either coffee drinking or the knowledge of the coffee tree appears in the middle of the 15th century in Yemen. It was there coffee beans were first roasted and brewed, much like they are today. Yemeni traders brought coffee back to their homeland from Ethiopia and began to cultivate the seed. In 1670, coffee seeds were smuggled out of the Middle East, and from that point on coffee spread to Italy, to the rest of Europe, to Indonesia and then to the Americas. The barista-turned-teacher has this advice for those celebrating National Coffee Day. 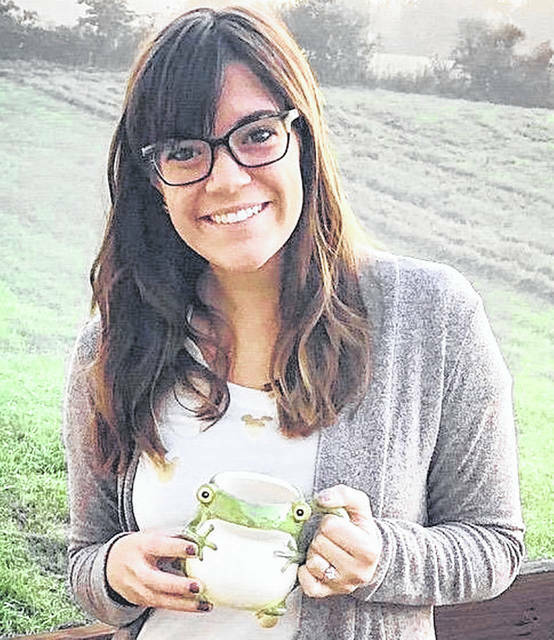 https://www.timesgazette.com/wp-content/uploads/sites/33/2018/09/web1_Danielle-Sink.jpgBarista turned kindergarten teacher Danielle Sink enjoys her first morning cup of coffee.